Hytek (GB) Limited, which consists of Hytek, IFC Inflow and Anglo Nordic Burner Products, purchased Pumptronics Europe Limited from previous owners, The Premier Group, in May 2018. 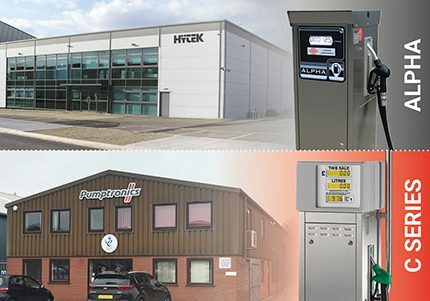 Hytek and Pumptronics, which were both established in 1985, will continue to operate in their current locations of Bishops Stortford and North Walsham respectively, and will continue to produce their own strongly identifiable products such as the Hytek Alpha pump range and the Pumptronics Zeon and C-series ranges. “Hytek is very excited to have Pumptronics join the Hytek group,” said Nicola Stamp, group managing director of Hytek (GB). “Hytek has been a competitor for many years, however, we can be much stronger together,” said Andrew Olive, Pumptronics’ managing director. “I look forward to seeing if there’s anything we can adopt that will improve our service levels to our customers. As far as product sales, ordering and manufacturing are concerned, the main message is business as usual. “I look forward to working with Pumptronics in the future and to supplying both existing and new customers within the market,” added Hytek’s sales director, Andy Seal.